JUNEAU, Alaska, Jan. 4, 2019—The state’s leading small-business association is ringing in the new year with a new state director as legislative advocacy veteran Thor Stacey takes the reins of NFIB Alaska. 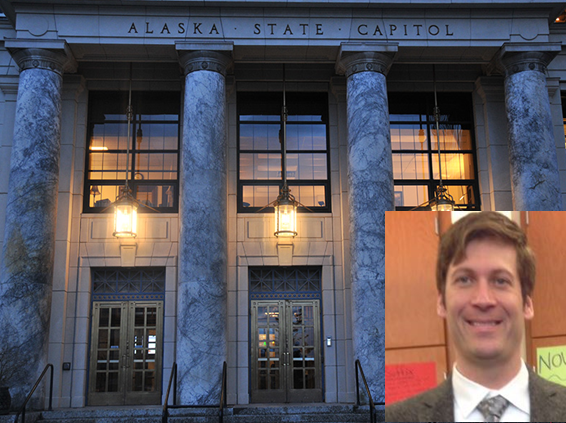 For the past six years, Thor Stacey has been the director of government affairs for the Alaska Professional Hunters Association and has also led legislative initiatives for Trident Seafoods, Alaska Air Carriers Association, Alaska Wild Sheep Foundation, and IPOP Mining. A lifelong Alaskan, Stacey served in the United States Marine Corps under Colonel and now Alaska U.S. Sen. Dan Sullivan. A graduate of AJ Diamond High School in Anchorage, he later attended the University of Alaska Southeast to study political science and government, Stacey also studied in the aviation maintenance program of the University of Alaska Anchorage. Stacey holds a competitively awarded guide concession in the Arctic National Wildlife Refuge. Also included in his work history are stints in mining, as a deckhand in gillnet fisheries, and as a door-to-door salesman in insurance. NFIB is the state’s leading small-business association. To learn more, visit www.nfib.com/AK and follow @NFIB_AK on Twitter.